Sweet potato ... toast? It may sound a little surprising, but this delicious and healthy meal is taking social media by storm. When topped with fresh ingredients, it's filling and wholesome, making it a perfect option for breakfast, lunch or a snack. It's also a tasty eat for those following vegan and gluten-free diets. To make sweet potato toast, start by thoroughly washing a sweet potato under warm water, and then remove all the skin. Cut the sweet potato lengthwise into 1/4-inch slices. Place the slices in the Oster® Stainless Steel Convection Oven with Pizza Drawer and select the Toast/Bake setting. Cook until the slices are slightly tender in the center and are lightly browned. Make sweet potato toast into a nourishing breakfast that will fuel your day. For a protein boost, poach an egg on the stovetop, then add to your toast along with a few slices of avocado. Drizzle the toast with olive oil and lemon juice and sprinkle on a little salt and pepper, and then enjoy your social media image-worthy meal! Peanut butter and sweet potato might sound a little odd, but it's actually a delicious combination! For a sweet yet healthy snack, top sweet potato slices with 1-2 tablespoons of peanut butter, banana slices and a dash of cinnamon. Enjoy a much healthier twist on pizza, without the wheat! Top your toast with light marinara sauce, pepperoni slices and shredded low-fat mozzarella cheese. Finish with a drizzle of olive oil and a sprinkle of dried oregano. Sweet potato toast makes for a fresh and delicious breakfast, lunch or snack. Looking to spice up your work lunches? Make egg salad sweet potato toast. Spoon egg salad made with 1 tablespoon plain Greek yogurt and 2 teaspoons mayonnaise - the yogurt helps save calories - and finely chopped onion and celery. Sprinkle with fresh minced dill and enjoy for an afternoon pick-me-up. There are many ways sweet potato toast can be enjoyed for breakfast. Layer fresh spinach leaves on sweet potato toast, then add a scoop of scrambled eggs. Sprinkle with shredded low-fat mozzarella cheese and dig in. Light and fresh, this sweet potato toast is a great lunch option. Top the toast with crumbled feta cheese, thick tomato slices and chopped olives and garnish with olive oil, sea salt and lemon juice. It's a taco without the shell! 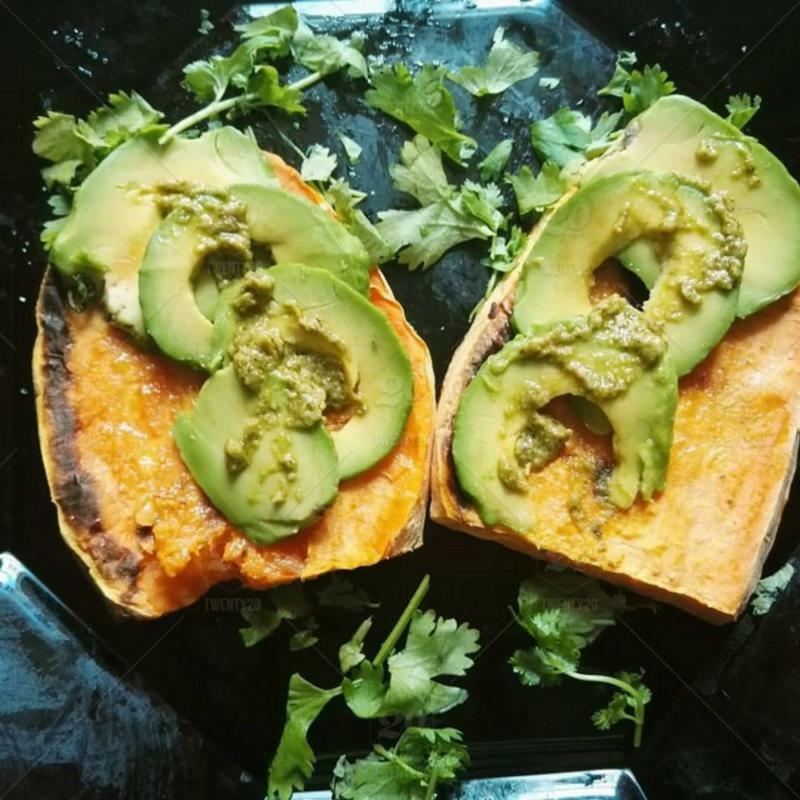 Make sweet potato toast that's bursting with Southwestern flavor with the addition of sliced grilled chicken, avocado, diced tomatoes, a sprinkle of cumin and chili powder and a small dollop of sour cream. Sometimes, something simple is what you're craving! Sweet potato toast is also delicious when sprinkled with a little cinnamon or nutmeg. Sunbeam Products, Inc. d/b/a Jarden Consumer Solutions ("JCS") has not tested these recipes and is not responsible for the outcome of any recipe you try from our website. You may not achieve the results desired due to variations in ingredients, cooking temperatures, cooking times, typos, errors, omissions, or individual cooking abilities. Please always use your best judgment when cooking with raw ingredients such as eggs, chicken or fish.